Conference on "The Convergence of Science and Technology wtih Humanities"
It is a great honor for me to join these distinguished scholars today and to have an opportunity to share my ideas with the august Korean Academy of Sciences. I am very happy to be here. I want to thank the Academy, and particularly Duk Yong Yoon, for arranging this wonderful event. As the preceding talks have made clear, the theme of this conference, “The Convergence of Science and Technology with Humanities” is a very provocative and rich subject, because it inspires us to think beyond our ordinary intellectual categories. The speakers who are with us here today, representing the scientific specialties of neuroscience, physics, and computer science, have each in their own way, offered insights into how their fields might enable creative and serious scholars to push beyond the strictly technical aspects of the subject. For some scientists this might seem a worrisome trend, while for others it is a welcome invitation into an emerging genre of new scholarship. I applaud the organizers of this conference for their willingness to explore new terrain. My own field is history, rather than science or engineering, and for the past thirty years I have done archival research and written books and articles on a topic that might sound exactly like “the convergence of science with humanities.” My research is in the history of science and technology, and has centered on agricultural science and technology in America. The organizers may have thought that I was converging these two areas on a regular basis, and indeed, I could give a talk that includes both history and science in America. But as I began thinking about possible topics, I was continually derailed by the question, “what does it really mean to converge science and humanities?” And I realized that this was a fundamental question for us all, because it goes to the heart of our educational systems, and it has implications for the kinds of students we will educate for leadership roles in the future. So, with the Academy’s forbearance, I will spend my remaining time exploring the puzzle, “what does it mean to converge science and humanities? why do we want to do this? and what would it take to succeed?” Here I will sketch out the beginnings of an answer, in three parts: first, I will discuss what the humanities are and why we might need them; second, I will explore how we come to learn humanities, drawing on some international examples; and third, I will propose what a truly convergent science and humanities might look like. I hope that this talk, offered in the spirit of cross-cultural friendship and collegiality, will spark discussion and debate about science and humanities education around the world. The first place to begin this discussion, then, is to define what we mean by “humanities.” Indeed, most Americans have only the foggiest idea what the word means, even those who studied literature or history in college. Most seem to think it is “everything that is not science and technology,” and would include such things as business and management, architecture, economics, psychology, political science, and the arts, to name a few. Yet most practitioners in these fields would vehemently disagree that they are part of humanities. And if we look at the way in which American colleges are organized, we can see why. Virtually every college and university in America has a School or Division of Humanities, just as they have a School of Science. Outside of America, however, such an entity is still an exception and then usually in newer institutions designed expressly along American patterns. Most such colleges also have a School of Science, School of Business, a School of Social Science, a School of the Arts, and so forth. Institutionally, we draw the boundaries between humanities and other fields rather sharply. "The humanities were conceived of as offering knowledge, not about atoms or planets or protozoa, but about humans and what it has meant to be human throughout history. They also were seen as providing a grounding in historical time, a rigorous and analytical manner of understanding human phenomena, and an introduction to higher order aspects of life — justice, freedom, humility, and so forth." As it turns out, the notion of “the humanities” was a construct developed at the elite American research universities around 1930, and in clear opposition to what many considered an over-emphasis on rationality and modernity itself, an inappropriate prioritizing of science, technology, and business over an earlier emphasis upon theology, philosophy, and history. The humanities were conceived of as offering knowledge, not about atoms or planets or protozoa, but about humans and what it has meant to be human throughout history. They also were seen as providing a grounding in historical time, a rigorous and analytical manner of understanding human phenomena, and an introduction to higher order aspects of life — justice, freedom, humility, and so forth. Typically the disciplines that were then captured under the name, “humanities,” included history, literature, philosophy, languages, religion, and some parts of the arts; sometimes other subjects were included but these were the core and continue to be today. What unites the humanities disciplines? is the study of history and culture in other counties, often using languages that are not our own. Anthropologists do this by going deeply into other cultures and learning to see through the eyes of their peoples. Anthropologists once worked in truly primitive locations, studying hidden tribes. Today, the foreign culture might well be a uranium mine in South Africa, or an evangelical congregation in the Philippines. The method is listening and recording the lives of others with respect and a non-judgmental analysis. This is the work of literature, whose method begins with close reading of novels, poems, plays, essays and now also films and other expressions of literary creativity. The skill of close reading — acquired in learning the rules and structures of language and literary genres, including how writers embody meaning in language forms — vastly expands a reader's capacity to understand, and enjoy, a writer's intentions. This is a hallmark of humanities and social sciences, and refers to the academic necessity of learning as much as one can about a subject so that one can safely reach a unique conclusion or original interpretation of the material. Another way to put this is that perhaps the key element of humanities education is critical thinking. According to William Graham Sumner, one of the first American social scientists and a hugely influential critic of traditional thinking, critical thinking is ”...the examination and test of propositions of any kind which are offered for acceptance, in order to find out whether they correspond to reality or not. The critical faculty is a product of education and training. It is a mental habit and power. It is a prime condition of human welfare that men and women should be trained in it. It is our only guarantee against delusion, deception, superstition, and misapprehension of ourselves and our earthly circumstances.” While the humanities values consensus in intellectual trends, it also values independence of thought and interpretation. "The humanities inculcate a sense of other minds and cultures; require and reward attention to formal and textual features as well as to literal or manifest meaning; invite individual interpretation and inference; cultivate the faculty of judgment;awaken a sense of values; engage the emotions as well as the intellect; enlarge our creative capacities; challenge, deepen and enrich our understanding of the world; provide fertile ground for the growth of self-knowledge; and, under the right circumstances, open the way to tolerance, restraint, humility, and perhaps even wisdom." "Cultivate the faculty of judgment"
This is a very difficult thing to teach and to learn, as we all know, because it comes largely from experience outside the classroom. We learn this over our lives in myriad ways. But in the academy, the best way to learn this is through philosophy, a discipline that teaches us how to think in a systematic way about very difficult moral, ethical, epistemological problems. This is something that we don’t talk about much anymore, to our disadvantage. Our values lead us to help someone who is in trouble instead of walking away, or to defer one’s personal interests to the interests of the greater whole. No single discipline teaches this anymore; not so long ago we learned it through our religious institutions. But as the number of people who learn this way declines, we need to find other ways to engage students with how people develop personal and cultural values, and the role such values play in social structures. “Engage the emotions as well as the intellect, and enlarge our creative capacities"
This is the place for the creative arts, whether through performing in an ensemble, or writing a story, or making a film, or hearing a piece of music. This is an area of true convergence of science and humanities and the arts; at MIT, the majority of our undergraduate students are involved in music and theater, and at a very high level. The math/science brain and the music brain seem to be exquisitely intertwined, to the great benefit of both. It is hard to overstate the importance of this as we hear about the high number of humanitarian and political crises around the world. “Challenging our understanding of the world” is again, something students need to do if they are to learn understanding and tolerance for other ways of living in the world. Here we usually turn to psychology as we struggle during adolescence with questions about our identity, our relations with others, our fears and ambitions. In most American colleges, psychology is the most popular class because students want some help in figuring these things out, about themselves and others. “At this time in history we need more than ever to figure out how to combine knowledge of the natural world with knowledge of the human world, and to ensure that our youth master this combined approach to the world. It is up to educators and politicians to make this happen." Several things should become clear about what the humanities are and how they function. First, the humanities are primarily a set of methods or approaches to understanding ourselves and others. It is a way to fathom the shape of the world as it has affected people’s lives and is affected by them. Although the different humanistic disciplines do not use the same set of methods exactly, in general they are all based on the development of critical thinking skills and deep immersion in a subject. Second, these methods and approaches are best developed through the study of particular subjects — literature, language, history, and so on. Some would argue that the whole point of humanities is to put human experience in a historic context; others might say that the central idea is to open oneself up to the emotional and psychological dimensions of human experience, as evidenced in novels, wars, other cultures, and so on. Thus we can see that while one way of understanding, for example, World War II might be to memorize the names of generals and battle sites, the more fundamental goal will be to listen to the voices of those who participated in the war, as military and as civilians, on all sides of the conflict, from the beginning to the end of the conflict, in order to understand their experiences, to understand why and how people ended up in such a tragic situation, and possibly to gain insight into how to avoid such missteps in the future. That is the shape of humanities, the methods and the goals. “Doing humanities” is harder than it looks. In the past few years, there has been a debate among American scholars and leaders about the relative merits of the sciences, on the one hand, and the humanities, on the other, in undergraduate education. This debate had many elements, but it was re-ignited recently by two things. First, the Congress of the U.S has been dominated in the last few years by an impatient and angry right wing, led by the Tea Party members, which has attacked and decreased funding to humanities and social science research and education. It targeted the discipline of political science, which not coincidentally includes scholars who write about the Congress, and eliminated nearly all the funding they received from the National Science Foundation. In addition, they targeted the National Endowment for the Humanities, slashing its funding nearly in half. The Endowment has long funded not only individual scholars in humanities fields, but also libraries and archives that conserve original historical documents. These two cuts were very deep and had a huge impact. The second thing that happened was that Harvard University came out with a report showing that the number of undergraduates majoring in humanities was dropping precipitously. This was echoed on other college campuses, measuring the drop in students graduating with degrees in humanities. Some scholars did more research, and found that the high numbers of humanities students was itself a bubble that began around the time of the Vietnam War, a time of great social turmoil and experimentation, which again, encouraged the questioning of received wisdom. A general feeling that America’s problems were on a human, rather than scientific, scale, led many students to turn to humanities for answers. It seems that the numbers of humanities students is now settling back to where it was for most of the 20th century. “As it is likely that the next decades will introduce a cascade of powerful new technologies to our nation; now is the time to continue and expand support for those humanistic disciplines that will allow us to understand the incentives and responses that will shape the ways in which human beings will use and abuse these new capacities, in intended and unintended ways." Who will lead America into a bright future? Citizens who are educated in the broadest possible sense, so that they can participate in their own governance and engage with the world. An adaptable and creative workforce. Experts in national security, equipped with the cultural understanding, knowledge of social dynamics, and language proficiency to lead our foreign service and military through complex global conflicts. Elected officials and a broader public who exercise civil political discourse, founded on an appreciation of the ways our differences and commonalities have shaped our rich history. We must prepare the next generation to be these future leaders. Essentially what the American Academy is saying is that America is in danger of losing potential leaders who have learned the intellectual and social resilience of earlier generations. They worry that because we may lack the stamina to fight for an educational system that educates for leadership, we imperil our national interests and security. This is an extremely important point. If we do not support the humanities and social sciences, we will be creating a class of young people who are great in the laboratories but helpless in the boardroom, the command center, the neighborhood, the Congress. We need people who know how to think about humans. Coincidentally, this is essentially the message I have been hearing from colleagues in Indian and some Asian universities, who either never had or severely reduced the presence of the humanities and social sciences in education several decades ago. Now they find, to their surprise, they are having trouble identifying people who can serve the country in leadership positions, people who have a broad understanding of the world and who are used to dealing with the messy complexity that humans create. MIT and other American universities are constantly approached by such universities to help them recapitalize their educational programs to develop students who acquire this complex intellectual toolkit. Yet particularly because the digital revolution has transformed the academic and business sector over the past ten years, the pressures for students — and their parents — to focus on the student’s employment prospects have become ever more acute. My impression is that this is most intense here in Asia, but we are not immune to the trend in America. "At MIT, known world-wide for its science and engineering education, all students take eight classes in the humanities, arts, and social sciences — 25% of their total course-load." In addition, there is debate about the value of the liberal arts educational model, the model for virtually all higher education in America. Ironically, as many Americans become more interested in promoting early specialization in a quantitative field for students, in many other countries, the concentration on early specialization in science and engineering is giving way to new interest in adopting the liberal arts model. In my opinion, this conference speaks directly out of this moment of reflection and puzzlement, when we try to figure out why the boundaries of our disciplines are drawn where they are, and whether there might be a benefit in pushing those boundaries out further. Typically, American college education includes two things regardless of one’s major field of study – a deep focus and expertise in one field, as well as a broad study of many other fields. This is called the depth and breadth requirement. Different universities have different ways of counting this. All the Ivy League universities feature this combination, and so do the smaller elite liberal arts colleges. At Stanford and Harvard, students must take between six and twelve breadth classes. 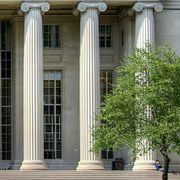 At MIT, known world-wide for its science and engineering education, all students without exception, must take eight classes in humanities, arts, and social sciences, which works out to one-quarter of their total course-load. How do we find our intellectual paths? Many people are surprised by this. How can the world’s premier science and technology university allow students to spend a quarter of their time in literature, history, music, and philosophy? A glib answer would be that our students have exceptional success following graduation, so it does not seem to have slowed them down. But the better answer is more complex, and reflects some deeply held American opinions about the purpose of higher education and liberal arts education. Of course not everyone agrees on every point, and, given the state of our Congress over the past two years, you have perhaps come to appreciate that on some issues the divides within our society are very deep and entrenched. Nonetheless, within education, these beliefs are supported rather vehemently. One, there is a fundamental belief in a student’s self-determination, that students must follow their own strengths and passions. This grows right out of the original American belief in personal independence. Generally, Americans believe that each individual has the right, but also the responsibility, to follow their own beliefs and commitments. While this can lead to trouble in some individuals, overwhelmingly people believe that such a position is essential in a democratic society. Although many parents exert a lot of control during the high school years, students in college are not so constrained. Two, most parents and teachers have a high tolerance for allowing students to take a little time to decide upon their ultimate adult identity and profession or career. At MIT, students do not choose an intellectual path until the end of their first year; even then, they are allowed to change their minds a few times before settling on a final degree field. This flexibility often makes parents a little nervous, but for educators it is part of the natural process of adolescents learning what they are good at and what they aren’t, where their strengths and weaknesses lie, what they are passionate about. Virtually all MIT students finish their degrees in four years. Three, although many parents are anxious about their children’s choice of profession or career, what we call their major in college, most will support the student’s decision, even though many choices would seem to be a one-way ticket to poverty. For example, although all students who start at MIT assume that they will become scientists or engineers, the actual experiences they have can lead a significant proportion of them to shift to humanities, or business, or architecture, or many other things. Because they also have a very high rate of acceptance into graduate school as well as nearly full employment following graduation, parents have a fairly high tolerance for this path. Four, there is a belief that human intelligence and wisdom is strengthened by both breadth and depth. In effect this means that people believe that engineers need to understand how to deal with ambiguity and uncertainty, and that historians should understand statistics and basic quantification. It is very difficult for students in America to get through college without learning a wide variety of subjects. Another Google leader told me that he prefers to hire humanities majors rather than engineers because Google is looking for creativity and a willingness to deal with ambiguity, qualities promoted in humanities. Really talented engineering students, he continued, are too eager to solve the problem, reluctant to let the mind wander a bit on its way to perhaps an entirely new way of dealing with the problem. "MIT alumni have spoken eloquently on the value of a combined technical and liberal arts education. One recent MIT graduate who is now a physician put it this way: "MIT Biology prepared me for medicine. MIT Literature prepared me to be a doctor." In looking at these principles, or assumptions, one is struck immediately by their singularity. Where else on earth do intelligent people believe these things? And the answer is, almost nowhere. European and Asian educational traditions are much different. For one thing European and Asian educators have far less patience with students, often expecting quite young students to select a specialty and become expert at it. For another thing, and perhaps more fundamentally, European and Asian educators are not inherently committed to the student’s freedom to chart her own educational path, or not at all to the same extent. This is a very stark difference, because it is a bedrock principle in America, and in fact explains just about all the peculiarities of the educational system. Many Asian traditions, for example, are based upon modesty and deference, as well as a commitment to act in the interest, not of oneself, but of the family or company. Thus, what we might call the “national educational styles” are deeply embedded in long-held cultural and historical circumstances. This can make international exchange somewhat difficult. I will give you an example. There is an Asian university, which I will not identify, that identified the best college students in humanities and social sciences to send to a group of Ivy League universities for doctoral degrees. Of the hundreds of students put forward over three years, less than ten were accepted. Why? Were they not smart enough? No, they were very smart, and their national scores showed that. Were they not highly recommended? No, their recommendations were strong. It turned out that the thing that really hurt these students was their inability to identify a research problem that they wanted to focus on in graduate school. While American graduate students were chosen for their identification of a good research question in humanities and social sciences, Asian students seemed to be chosen for their raw ability and talent revealed in their test scores. If this is correct, that students in different countries are evaluated on different things entirely, then cross-cultural exchanges in humanities and social sciences will be tricky. It seems pretty clear, in the end, that it would be highly desirable for people to think and work in more than one register, to make sure people have a tool-kit that includes more than one tool. But for scholars like you and me, convergence is nearly impossible. As mature scholars, we have each developed an intellectual style that is congruent with our disciplinary norms. While we might add new topics to our research, it is really difficult to add new analytical approaches. The only place true convergence might occur is in our high schools and college, in creating students’ toolkits, regardless of their major. This is not only possible, but crucial to future research and leadership. Scientists and engineers have tackled the convergence issue in their own ways. One scientist uses the last five minutes of his lecture for a musical reflection on that day’s topic. For his lecture on fluid dynamics, for example, he plays Handel’s “Water Music.” A chemical engineer teaches the already difficult thermodynamics alongside Nicolas Sadi Carnot’s original treatise on the subject (but not in French!). Even more ambitiously, some science majors go into history of science, effectively doubling the tools at their disposal. Professors with this background can speak as authoritatively about the science they are covering as they can about the history, and both genres are the better for it. more deeply about principles, values, and the purpose of life." While these individual efforts are laudable, our world problems are much too challenging to address only as individuals. Rather, the very structure of our universities must begin a transformation that will allow truly interdisciplinary work, which in turn will allow us to address the most entrenched and difficult problems with new ideas and approaches. The idea is not to turn scientists and engineers into humanists, or humanists into scientists and engineers, but rather to prioritize two approaches. First, we need to introduce students at a young age to a substantial combination of both science and humanities that will provide the intellectual exercise and pliability to feel at home in a much larger number of endeavors. Here is where the liberal arts tradition really shines. Second, it is imperative that universities as well as governments insist on developing teams of experts that include heterogeneous skills — engineers, humanists, scientists, social scientists, and artists — to attack problems that are rooted in social systems. Whether it is health care treatments, epidemic disease, poverty, food safety, climate change — whatever the grand challenge may be, it will benefit enormously from a multi-faceted approach. This has never really been attempted in any substantial way as far as I know, and surely we have nothing to lose in trying. In closing, as my remarks have suggested, at this time in history we need more than ever to figure out how to combine knowledge of the natural world with knowledge of the human world, and to ensure that our youth master this combined approach to the world. In the end, it is up to the educators and politicians to make this happen. We can no longer afford to look the other way, and must prepare our students for leadership in a challenging but forward looking world. Utrecht University in the Netherlands is a good example, as is Sun Yat-sen in China, National University of Singapore, Singapore University of Technology and Design, and increasingly Hong Kong University. 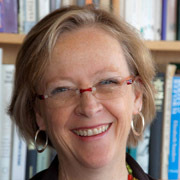 See Karin Fischer, “Bucking Cultural Norms, Asia Tries Liberal Arts,” Chronicle of Higher Education, 5 Feb. 2012, and Patti McGill Peterson, “Liberal Arts Education: Has the Global Migration Stalled?” Chronicle of Higher Education, 18 June 2012. Geoffrey Harpham, The Humanities and the Dream of America (Chicago: University of Chicago Press, 2011), pp. 2-3; see also Martha Nussbaum, Not for Profit: Why Democracy Needs the Humanities (Princeton, N.J.: Princeton University Press, 2010); and Andrew Jewett, Science, Democracy, and the American University (Cambridge: Cambridge University Press, 2012). William Graham Sumner, Folkways: A Study of the Sociological Importance of Usages, Manners, Customs, Mores, and Morals (New York: Ginn and Co., 1940) pp. 632, 633.
; Michael Stratford, “Higher Education Cuts in GOP Budget,” Inside Higher Education, 2 April 2014; David Ng, “House Committee Proposes Funding Cuts for NEA, Other Arts Groups,” Los Angeles Times, 24 July 2013. Valerie Strauss, Texas GOP Rejects ‘Critical Thinking Skills. Really,” Washington Post, 9 July 2012. R.D.N., “Singled Out,” The Economist, 21 May, 2013; Jill Lepore, “Long Division,” The New Yorker, 2 Dec. 2013. “The Teaching of the Arts and Humanities at Harvard College: Mapping the Future,”http://artsandhumanities.fas.harvard.edu/files/humanities/files/mapping_the_future_31_may_2013.pdf ; Michael Berube, “The Humanities, Declining? Not According to the Numbers,” Chronicle of Higher Education, 1 July 2013. See also Gideon Rosen, “Notes on a Crisis: The Humanities Have a PR Problem,” Princeton Alumni Weekly, 9 July 2014. American Academy of Arts and Sciences, “The Heart of the Matter,” www.humanitiescommission.org. On South Korea, see John Morgan, “Appetite for Education,” Times Higher Education, 9 Dec. 2010; Nick Clark, ed., and Hanna Park, World Education News and Reviews, 1 June 2013. Matthew Reisz, “Google Leads Search for Humanities PhD Graduates,” Times [London] Higher Education, 19 May 2011. Mariya Samoylova, Biology and Literature, personal communication.